Join in the celebration of food, farmers, and the joys of biking. It is a pedal-powered trip through the natural buffet that is Pemberton Meadows farmland to meet local growers and sample produce fresh from the field. The World Watch Institute reports that the average food item eaten in North America has travelled 2500-4000 km from farm to table. Here, the distance between good food and your table is as short as a 50km bike ride. 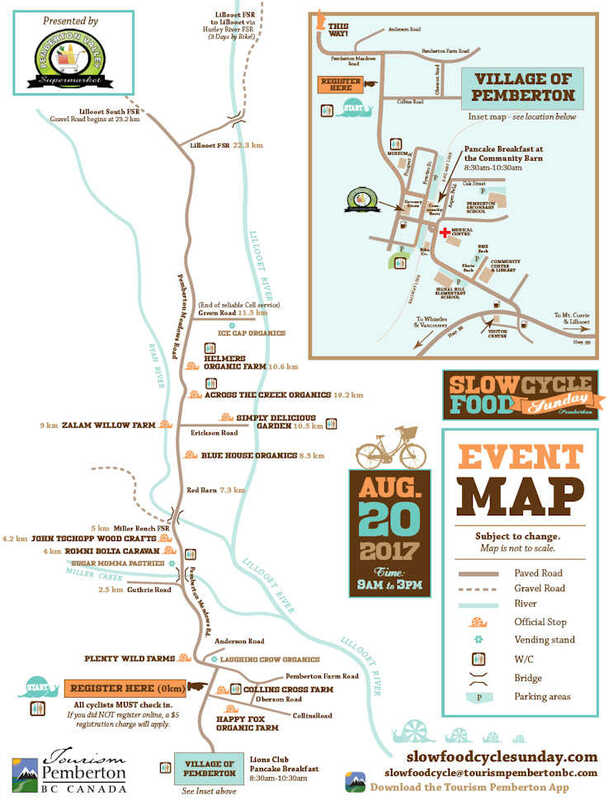 Slow Food Cycle Sunday is a 45 kilometer / 28 mile cycle up and down Pemberton Meadows Road. Choose your own pace and do as much or as little of the route as you like. Visit Pemberton farms and other vendors. 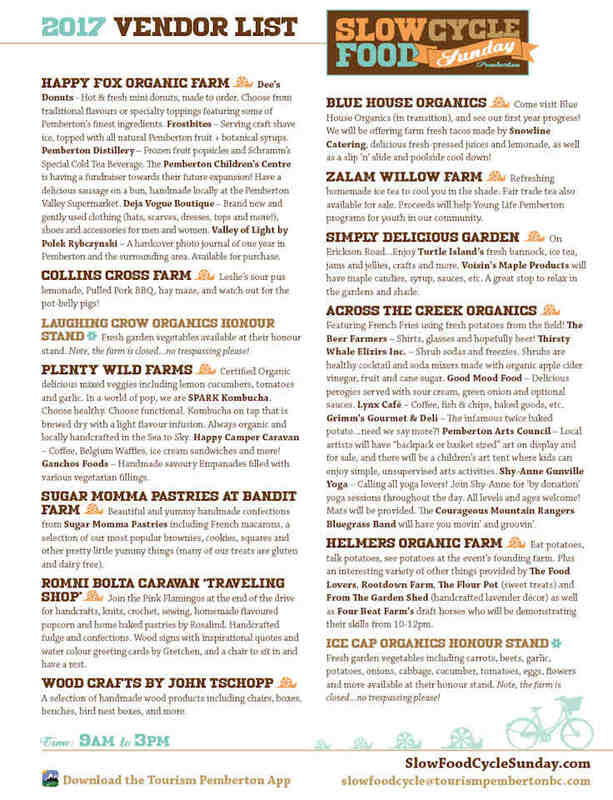 Purchase local produce, crafts and much more along the way. Where: Pemberton Meadows Road at the location of the old Pemberton Community Centre. Look for School District 48's Bus Garage and Playing Fields just north-west of the Village of Pemberton. Click Here to avoid lineups and pre-register for this event.